Currently, one of our most exciting areas of research is our exploration of the intersection of biology and tensegrity robots. The inspiration for this research comes from the idea of “Biotensegrity” pioneered by Dr. Steven Levin, which holds that tensegrity structures are a good model for how forces move through our bodies. Thus, instead of the common sense “bone-centric” model where force passes comprehensively from bone to bone, one should take a fascia-centric view that looks at the global fascia network (i.e. continuous chains of muscles and ligaments) as the primary load paths in the body. (For more info on fascia see my prior posts fascia, bones, and muscles, and Fascia and Motion.). 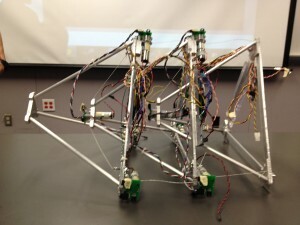 To date, the vast majority of tensegrity research has focused on static tensegrity structures, but it turns out that they have many qualities which make them well suited for motion, especially the type of motion required of a robot (or animal) moving in the real world outside the safety of factories or laboratories. As I discuss in an earlier post, these advantages largely center around how tensegrity structures can distribute forces into the structure, instead of accumulating and magnifying forces through leverage, which is what happens in a normal rigidly connected robot. Using the Tensegrity Robotics Simulator that we have been developing over the last year, we have been exploring biologically inspired tensegrity robots. 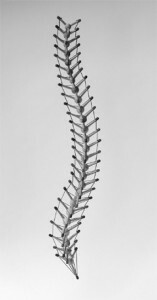 Our initial focus is on a “snake” or “spine” like tensegrity robot, which is inspired by the models of a tensegrity spine created by Tom Flemons. For ease of modeling, our “snake” uses tetrahedron shaped elements, which look different from vertebrae, but maintain a similar topology of connectivity. 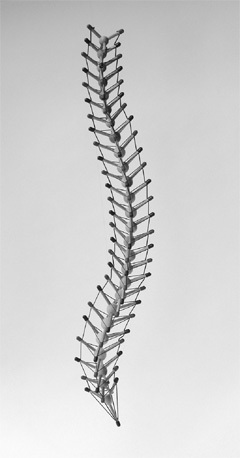 Thus, each “vertebrae” of our snake is connected and controlled by cables to the next “vertebrae” and has no rigid hinges or joints. Compared to a regular robotic snake, this approach has the advantage that forces are not magnified via leverage through the body. As a result, we are able to explore real distributed control approaches because local actions stay predominately local without the unexpected global consequences experienced in a rigid robot. In the following video we show our simulated “tensegrity snake” moving over different terrains while using a distributed and decentralized oscillatory control system. This first experiment uses controls with no world knowledge or motion planning, yet we see that it is capable of traversing a variety of complex terrains. 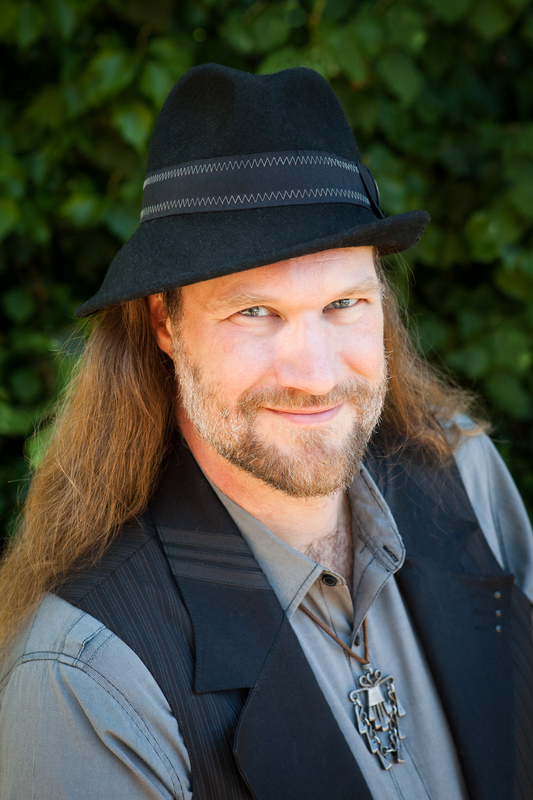 Brian Tietz, a NASA Space Technology Research Fellow from Case Western Reserve University’s BioRobotics lab has been developing the snake tensegrity simulation and controls. We have focused on distributed force controls because we want to maximize the competence of the structure’s interaction with the environment in order to simplify higher-level goal-oriented task controls. This approach mirrors the division between the mammalian spine, which is decentralized and primarily concerned with forces and rhythm, and the mammalian brain, which is concerned with task based motion planning and interfacing with the highly competent spine/body for execution. Our work on distributed controls is influenced by theories of neuroscience that focus on networks of Central Pattern Generators (CPG) for distributed control of complex coordinated behaviors. We implemented a distributed (one controller per string) version of impedance control (which balances the needs of force and length control) on our simulated “tensegrity snake” robot and experimented with a variety of oscillatory controls on string tension and length. The version shown in the video implements a two level controller for each string, where the higher level control produces an open-loop sine wave for the tension control, and the lower level performs stabilizing feedback on position and velocity. We found that even with this simple reactive control, our robot could generate a variety of gaits and navigate a wide range of obstacles which would normally require motion planning and structure specific gaits. We believe that this high level of motion competence at the reactive structural level will lead to impressive capabilities as we continue to explore closed loop CPG controls. We have initially focused on mobility tasks because recent research shows that neural-controls of goal-oriented manipulation are based in the same oscillatory controls found in mobility. Thus, as we mature our understanding of this new technology we will be able to extend it to goal-oriented manipulation tasks as we incorporate task-space sensory information. In order to validate our progress in simulation, we are hard at work building a physical tensegrity snake robot. The initial prototype was built by a team of students at the University of Idaho as part of their senior capstone engineering team project. We are working on rebuilding the control system in order to accommodate the controls we have developed in simulation. Finally, to see more about our other research into dynamic tensegrity robots, please see my recent post on our SuperBall Bot project, where we are developing a planetary landing and mobility system with a tensegrity robot. 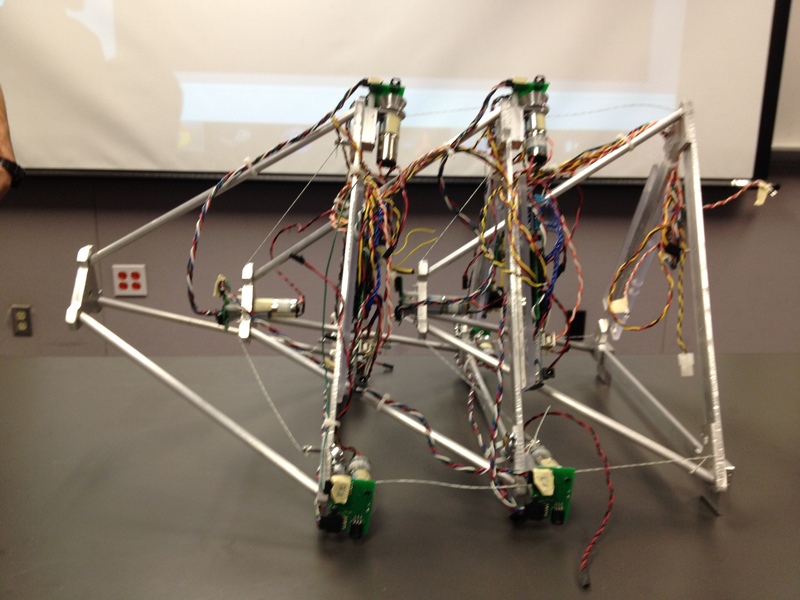 Also, I have a video of a lecture on tensegrity robots and our physiology and neuroscience. At least, i saw the video of the snake i could’nt see in the video of NIAC’s presentation. It looks like you will create a new way of motion for a whole new generation of bots.